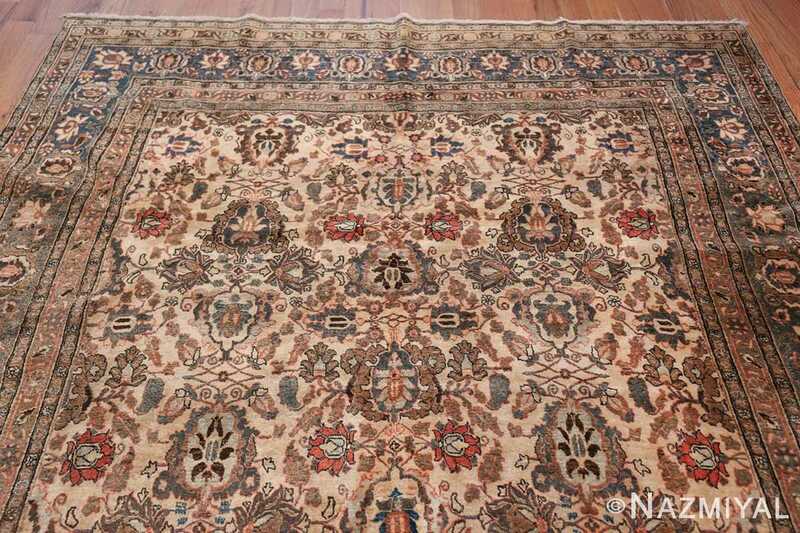 Finely Woven Ivory Background Colored Antique Persian Tabriz Rug, Country Of Origin: Persia, Circa Date: Early 20th Century — A cultural center and capital of the northwestern Iranian province of Azerbaijan, Tabriz has a well established history of family rug weaving workshops. 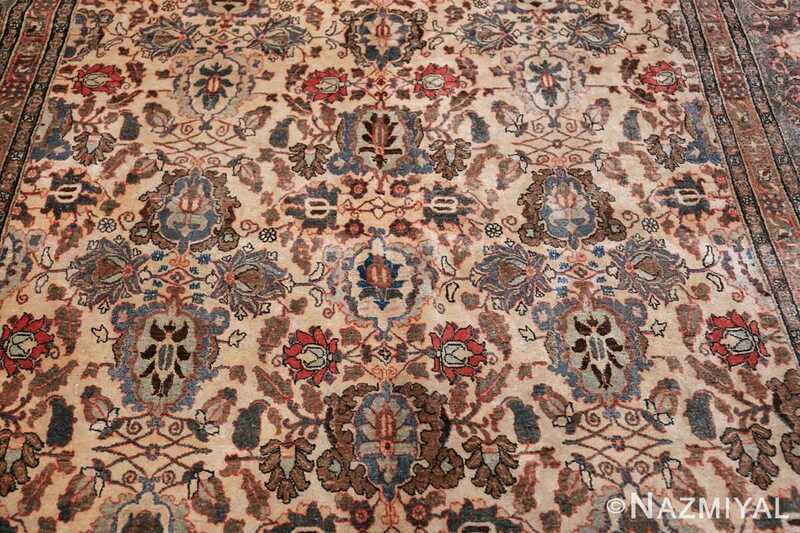 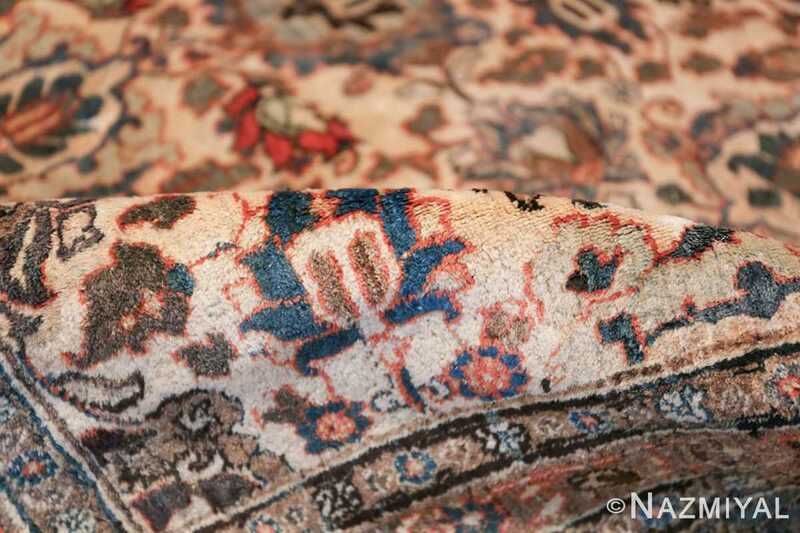 By the late 19th century, a great deal of the Persian carpets exported to Western countries originated in Tabriz. 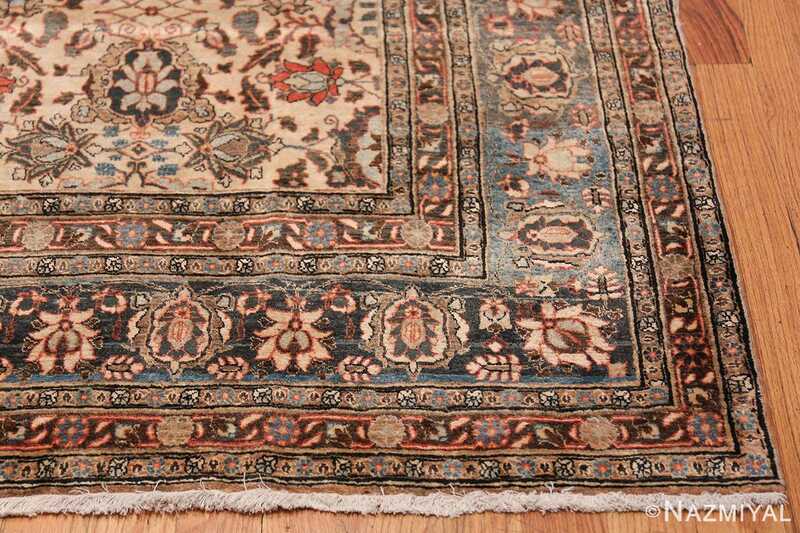 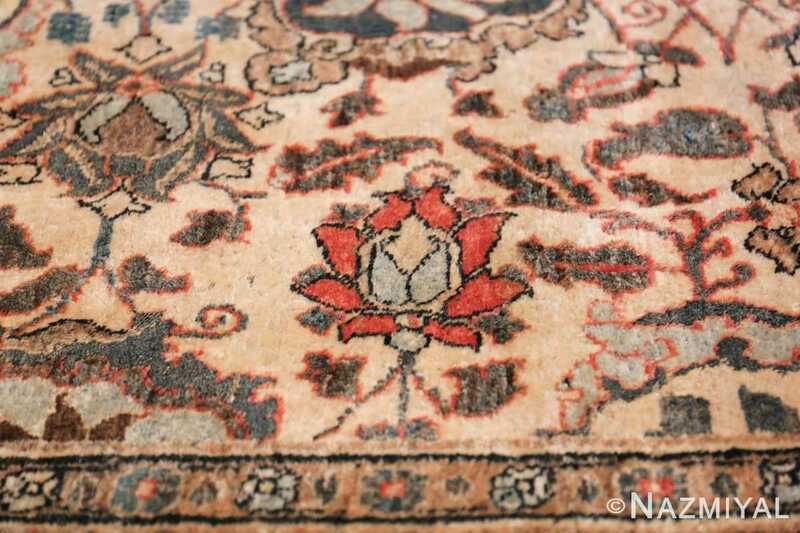 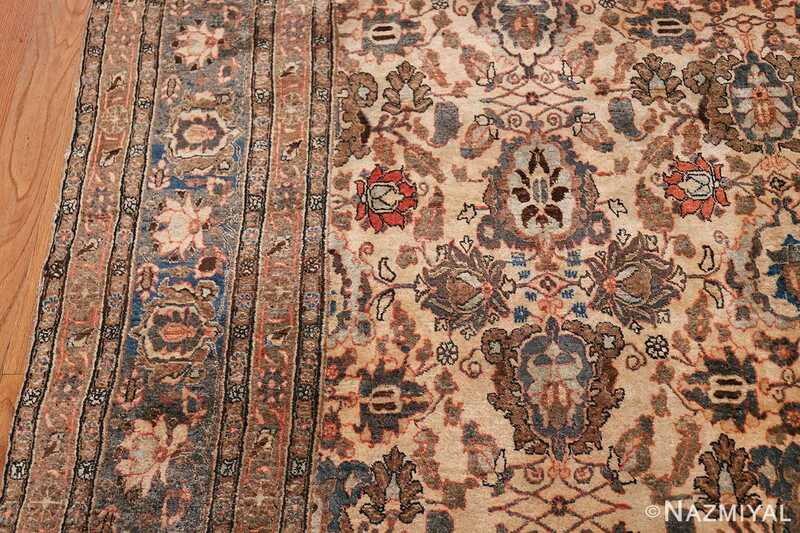 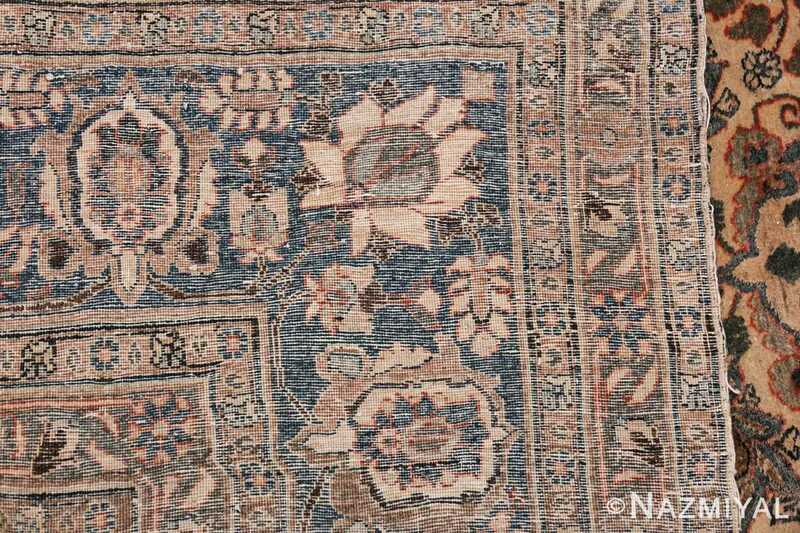 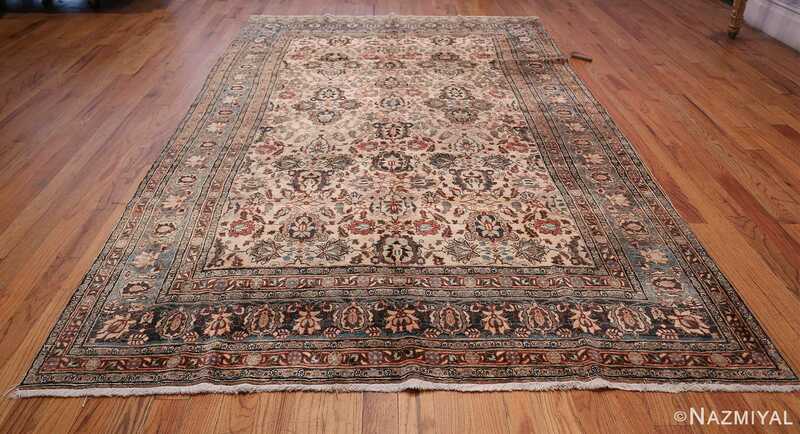 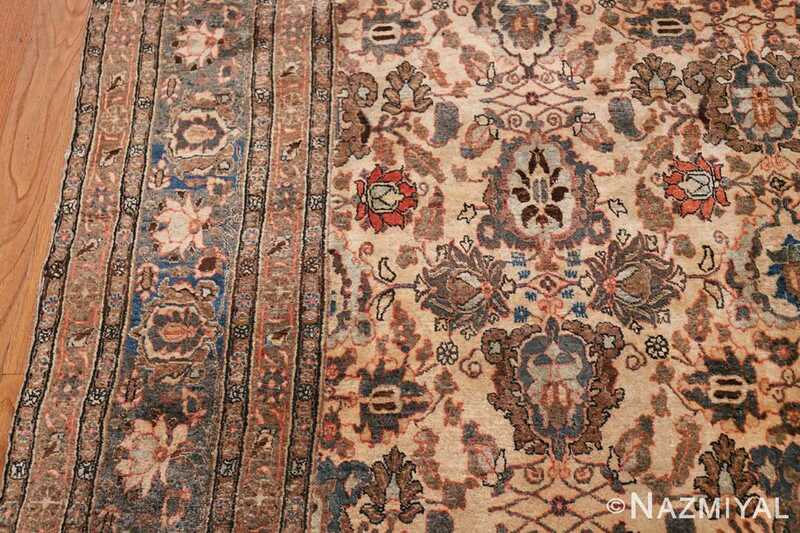 This antique rug features an allover floral pattern, with interconnected leaves and medallions. 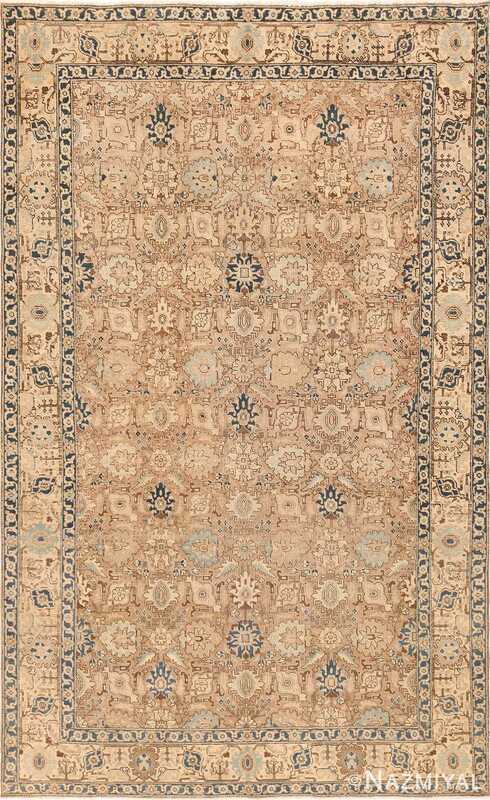 The classic motifs are executed on a soft, muted background with ivory tones and gentle blue and green embellishments. 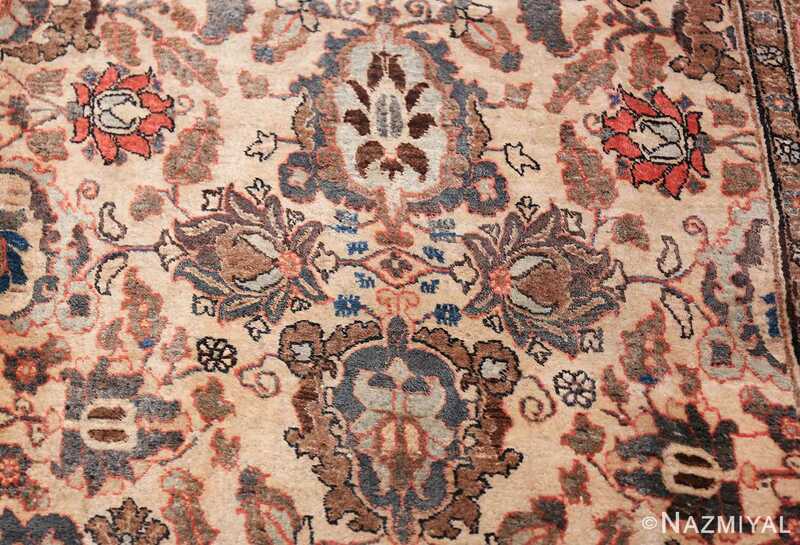 Burgundy details add a bold decorative touch to the design. 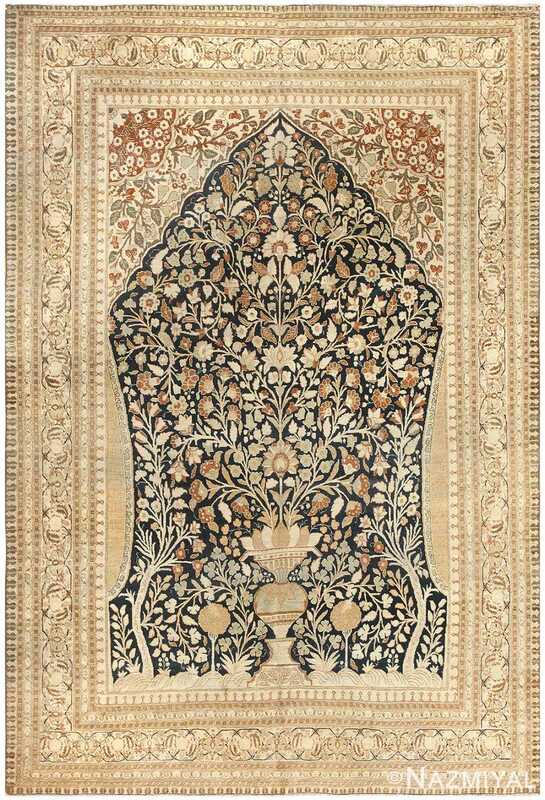 The middle panel is surrounded by a series of frames, which display an additional trellis of palmettes and blossoms in the same color scheme. 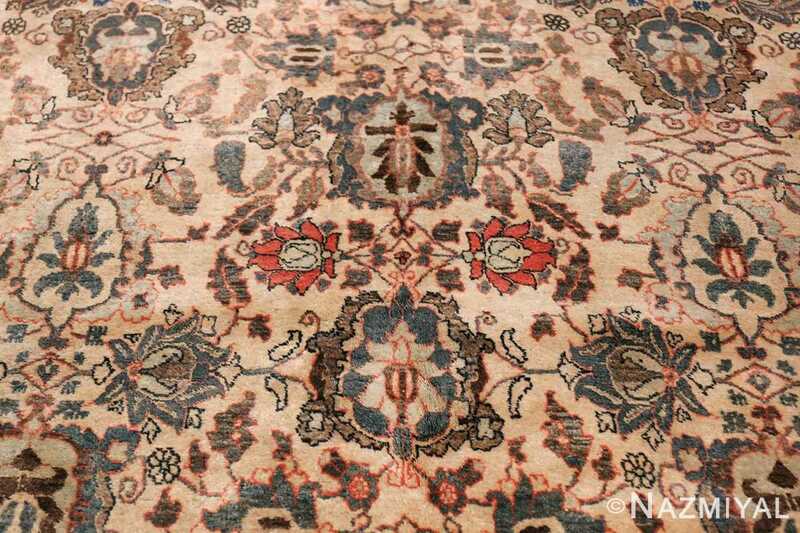 Intricate vines encircles the entire presentation with a delicate frame. 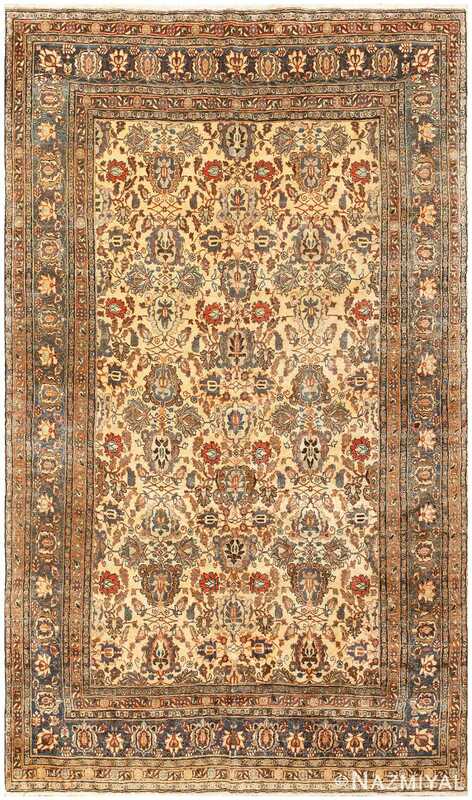 This classic Persian rug communicates high class, yet subtle elegance. 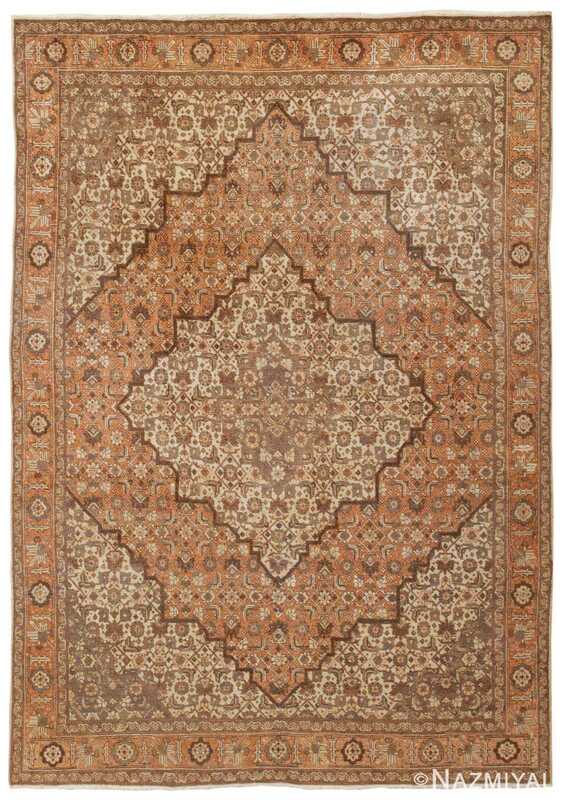 Created circa 1930, this exquisite antique rug from Tabriz features an inset medallion decorated with a densely spaced Herati pattern rendered in chic earth tones.